Three out of three. Leicester City have now gone three games unbeaten - something that Nigel Pearson will be very relieved about. The fact that two of those three victories has been in the FA Cup and not in the league may be a concern, but confidence breeds confidence and nothing is a better tonic than a first hat-trick of wins for a year. The fifth round beckons. The Foxes FA Cup campaign is yet to get under way. After a dull draw at the City Ground, Forest failed to put up a fight and were roundly thrashed by a reinvigorated Leicester side. Today's fixture against the Robins failed to set the world alight either. With Crawley Town and Stevenage Borough both still in the hat, a quarter-finals spot is on an advancing horizon and with some of the Premier League big-guns knocked-out early, this could soon turn into a very good FA Cup run for City. A man who has been criticised for a lack of effort or passion to the Leicester City cause, Jermaine Beckford's rather impressive record of five goals in three games may go some way to quieten that opposition. That all but two of his goals in Leicester blue have come in the FA Cup will be as frustrating for him as it is for the supporters but goals breed confidence and if Beckford can translate his cup form to the Championship, he could win his way into the fans' hearts yet. Firmly back in the first team fold and removed from the transfer list, Sean St Ledger has made sure that his on-pitch performances have answered his manager's criticisms. The Irish international has quickly become a reliable and consistent performer since he was given his reprieve by Pearson a fortnight ago. 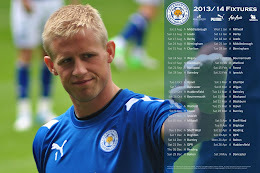 Despite his long time on the fringes or out on loan, Tom Kennedy has remained a Leicester City player for two years now and has earned his right to appear in the first team. He will not challenge Paul Konchesky for a regular place in Pearson's first XI but he has proven himself to be far more than a capable understudy. The Foxes' manager showed faith in a winning team and his team repaid that with a professional, confident performance. Swindon may be a League Two outfit but they did enough to trip-up Premier League Wigan Athletic in the Third Round and Leicester should be pleased to have beaten a team tipped by many as one of this season's giant killers. Pearson made the right calls in removing man of the match Beckford and Paul Konchesky once victory was assured and it was nice to see him give youngster Tom Hopper valuable minutes in the senior game. Paul Gallagher did well to become fit in time to start this fixture and would have given Pearson a headache had he not been available to play on the Filberts' right wing. His performance was less than dazzling, however, with his lack of strength woefully exposed today. Leicester City's side may have looked more balanced today but that balance was mainly due to the equally poor performances from the players on each side of the Foxes' midfield. Lloyd Dyer, on the left, lacked a final delivery and failed to offer anything of real conviction to challenge the Robins' defence.